The IANTD Rebreather Wreck Diver course is designed to introduce the diver into the diving aspects of wreck penetration. If you want to dive inside of shipwrecks, and penetrate to beyond where the light can not penetrate, then this your first step. 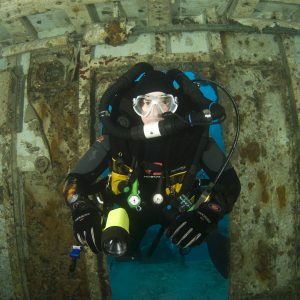 With this course, you'll learn proper techniques and equipment requirements for safely entering and navigating shipwrecks on your rebreather. 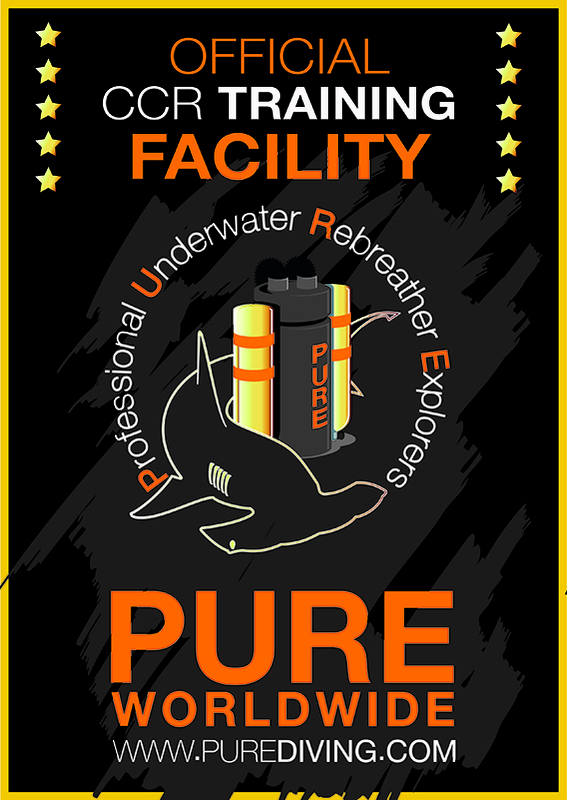 This Program is designed to train divers in extended wreck penetration diving and the technical utilization of EANx for wreck exploration and the use of EANx and oxygen for decompression. How deep can you dive with the IANTD Rebreather Wreck Diver Program? Must have proof of 100 rebreather dives. Must be qualified as Rebreather Diver on the unit to be used. 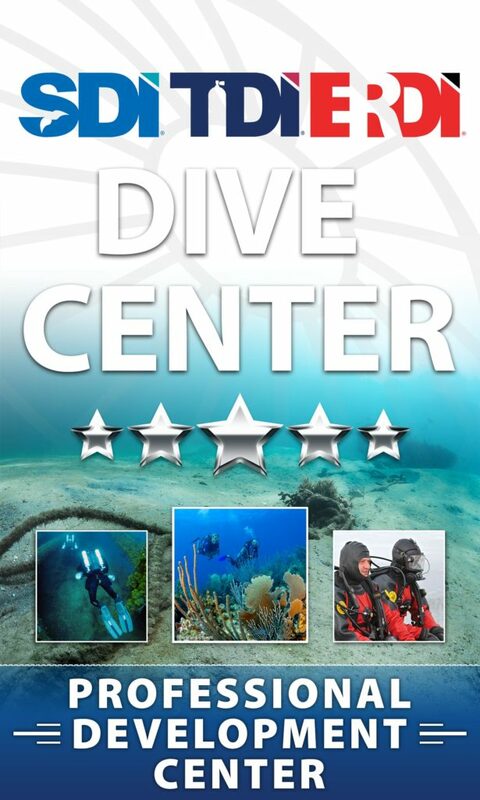 Must have 25 rebreather dives with 50 hours of dive time on the Rebreather. Rebreather divers at all course levels must have the IANTD CCR Diver 'S' Drill chart C-3401. A primary and backup dive planning/monitoring device such as bottom timer or computer. IANTD Dive Tables must be carried on all dives as a primary decompression reference or as a form of backup. A lift bag or a surface marker buoy of at least 50-lb (22.5-kg) lift capacity for a decompression marker. One (1) backup safety light. A backup cutting tool is recommended. Use of the Course Specific Presentation is optional with the use Of the Course Specific Student Workbook which must be completed prior to any in-water training. All students must be taught the concept of gas matching. Simulation of wire entanglement will be practiced. (RB) Divers on CCR complete the IANTD "5" drill chart C-3401 prior to all water sessions. Others complete "S"
Switch to low set point for descent and monitor the P02 to ensure it remains within the planned P02 range. Switch to planned set point once the diver is at the planned dive depth or set point change depth. In water leak and buddy leak check. If conditions prohibit this after entry this then immediately upon arrival at a stable depth. Where practical this maybe accomplished between just below the surface to 20 fsw (6 msw) deep. What makes an IANTD class different?